Stick War, you are the leader of a clan of stick peoples and struggle for dominance. Your goal is to mine resources, build armies to fight against other nations. Play Unfair Mario - There are traps everywhere and they never know what to expect, the stone falls, the earth fails, the spikes pop up. Try to avoid hidden traps and get to the final flag. Play Soccer Star game - Beat the goalie in this penalty shootout game. Can you lead your team to fortune and glory? In Mighty Knight 2, the creatures destroy your world and you must destroy them. Invite a computer or friends to help you in your battle against the evil forces. Play the free online game Run Ninja Run - Escape your enemies by jumping and sliding over and under obstacles with the arrow keys. Help the ninja run as far as possible. Happy Ball is a free puzzle game online - Cut ropes as you get the ball to roll on platforms to grab all the stars. Much fun! Play Papa's Cupcakeria game on Run3unblocked! Help Papa cook some tasty cupcakes for the hungry costumers. Keep the customers happy to make big tips! Running Fred is an exciting game where have a brave boy - Fred. Your goal is to help him run as far as possible and avoid many different types of deadly traps while moving. Flappy Bird is one of the most popular game today. The player leads a bird, which must not touch the top and bottom positioned tubes by tapping on the screen. Fly the bird as far as you can without hitting a pipe. Bloxorz combines problem solving with spatial reasoning and logic. The aim of the game is to get the block to fall into the square hole at the end of each stage. There are 33 stages to complete. Play Bubble Trouble game - A classic old school game! Run around, shoot all the bubbles and don't let them touch you. Cat Mario is a fun game of platforms that resembles Super Mario Bros. The protagonist of the game is a white cat. There are enemies trying to stop it. Your goal is to help it to go as far as possible. Play Drag Racer V3 - Try to reach the finish line first, but cleverly switch the gearbox to the motor burned out before you cross the finish line. Good luck! Play Disney Cosplay Challenge - This is a game for girls about dress up, disney, princess, sailor moon, cosplay. They need your help and they will dress up as the characters from sailor moon. Can you help them get ready? In Monkey Go Happy is a funny compilation of mini games. Click and interact with the objects in each level to solve the puzzle and make the monkey happy. Candy Crush Saga is a very addictive game, which many people play. Mix and match sweets in a combination of three or more to gain points and other bonuses as you progress! Play the free online game Big Bad Ape - Some apes just want bananas, but not this big bad ape! He's hungry for some people! Help him to unleash his hatred on humans by destroying a whole city. Play Terraria Online game - The kingdom's been destroyed and all its people are imprisoned underground. They expect your help to get out. Fix it! New Star Soccer is one of the most addictive games ever. Start a soccer career, and score goals. Aim and gauge power, and then kick the ball at the right spot to score. Play Bomb it 6 game for free on Run3unblocked. Choose your preferred game mode, pick a character, blast your opponents to smithereens using various bombs and weapons. Plazma Burst - Battle aliens with a machine guns pistols and grenades. Blast your way through enemies, make it out of each level alive and get ready for your next mission. Bloons TD 5 is a free online Strategy game and is the fifth version of the Bloon Tower Defense game. The goal is to build monkey towers and upgrade towers to pop the balloons before they reach the end. Anna is really happy as she is pregnant and today is delivering baby. Check her health and her baby, next make sure everything is ready for the beautiful moment. Jack Frost is the boy who conquered the heart of princess Elsa and is preparing himself for a dating day with her. Help him modify his look and dress up for an important date. Barbie consider herself a traveling expert. Mission of the game is to help Barbie choose the luggage, outfit with choosing right style for each country. Pretty fairy Lucy has opened a hair salon in the forest. All the fairies come to get new hair styles and makeovers here. Follow the steps and take good care of her hair, wash it, die it and give her a new style. Armor Mayhem Chronicles is a free online Action game in which you'll enter a battlefield full of enemies. Complete challenges, unlock gear, outfit your soldiers and build your arsenal. Play Plants Vs Zombies - Get ready to soil your plants as a mob of fun-loving zombies is about to invade your home. Run Viking Run is an exciting game in which you must help the Viking run away from a horrible monster angry, destroy obstacles and collect coins. Are you ready for a new adventure? In Clicker Adventurers, you click the mouse to deal damage to your enemy. Have fun! Siegius is is one of the best Action games. In this game, you must conquer your enemy by using weapons, artillery to defeat the enemies and destroy their castle. Strikeforce Kitty League - You must train the kitten heroes with a new master to win the Champions League tournament. Enter the magical world of Trinitas and defend your kingdom from the hordes of orcs, knights and skeletons with the help of your friends. Upgrade your weapons and skills to become a hero. Mighty Knight is a free online Action game where you join a battle against the evil forces and try to defeat all the monsters. Frontline Defense is a free online Strategy game in which you must build your army and defend your underground territory against invaders. In Incursion, Dark forces are marching toward the kingdom and you have to stop it. Train defenders and place them along the road to stop enemy attack. Play Football Rush game - Test your skills, compete with friends and beat the best teams. You will be facing teams from all around the world and beyond. Play Geometry Test game - Follow the instructions to complete 13 exercises. Use a ruler and a pair of compasses to complete them. Sudoku is one of the most popular puzzle games of all time. Your mission is to fill all blank cells with a number between 1 and 9 to complete the grid. Lexigo is a fun and engaging online game - Mission of the game is simple: Each new word you spell starts with the last letter of your previous word. Have fun! Snail Bob 8: Island Story is a physics puzzle game with main character: Bob. Mission of the game is to help Bob back home from the island full of puzzles and surprise. Play Rail Rush game - Get in your wagon and collect as many gold nuggets you can hold while avoiding obstacles, dead rails and crashes. Red Ball 4 is an exciting arcade game where the player has to help our hero reach its goal after crossing through several hurdles on its way. Age of Warriors is an epic strategic game with time battle. Your goal: Train your troops and fight with thousands of other enemies to successfully defend your base. Play Age of Warriors 2: Roman Conquest. Miners will gather gold and give you enough money to train brave warriors. Next, you'll start recruiting soldiers to defend your land from the invaders. Play Achilles 2: Origin of a Legend. Join the legendary Greek warrior as he steps out onto the battlefield and battle with 5 different armies. Play Helio Strike Force - Move the helicopter and destroy all enemies before they defeat you. Play Geometry Dash Online at Run3unblockedgame.com. In game, you need to jump and fly your way past an endless stream of obstacles. Gun Mayhem is back with the second version of the Gun Mayhem game. Shoot 'em up or use dynamite to push them off the plattform before they kill you and collect power ups to strengthen yourself. Cactus McCoy is back with the sequel of the popular platform adventure game made by Flipline Studios. Your goal is to help McCoy rescue Ella and reach the treasure of Calavera through swarms of enemies. Potty Racers 3 is a funny distance game made by Gonzo games. Start flying a port-a-potty, buy the right upgrades to make it more aerodynamic and try to make a perfect flight. Flip gravity to keep moving forward in G-Switch 2. The goal is to avoid to miss a platform and to fall off the screen while running on floors, ceilings and walls. Play Uphill Rush 6 - the new sequel to the funny racing game. Choose your vehicle track and enjoy your day off at the water slide or at the motorcycle track. A helicopter is waiting on the other side of the country. With only a run-down car and a small amount of cash you face a familiar situation... to drive through hordes of zombies in order to survive and go to there. Play Strike Force Heroes - Team up with other soldiers and fight against enemies. There are 3 game modes, 15 campaign missions and over 65 weapons. Bloons Tower Defense 3 - Pop all baloons before they get to the end of the track by using your money to buy towers and cannons and place them on the track. Bloons Tower Defense 4 is back. Select the track you want then buy buy strategy towers and place them around the track in such a way as to maximize their effectiveness. Bloons Tower Defense - Stop the bloons escaping by building towers next to the maze. As you get more money build more towers or upgrade existing ones. Bloons Tower Defense 2 - Buy monkeys, tack shooters, cannons and boomerang throwers to help you survive against the endless waves of bloons. Play free online game Clicker Heroes - Kill monsters, collect gold, upgrade heroes, use skills, find treasure, kill bosses, and explore new worlds in game. Play StrikeForce Kitty- Build up your mighty kitten army and rescue the lovely kitty princess who has been captured by evil foxes. Play Bloons game at here! Use monkeys, armed with various weapons to pop as many "bloons" (balloons) as possible. Evil foxes are building an army against the kitty empire. They have attacked again. Jump over obstacles while collecting fish. Dress up the cats with costumes, weapons to improve the strength of your cat army and get ready to strike back. Train the best warriors in the land. Earn money from fighting, upgrade them and try to become one of the gods of arena, where they fight until death and the winner becomes a general. Warfare 1944 is a highly addictive, realistic war-themed strategy game. The game is set in World War II, during the battle of Normandy. Warfare 1944 sees the U.S Forces take on the German Wehrmacht. Play Jacksmith - In Jacksmith, you are a blacksmith crafting a wide range of weapons for all of your warriors. Play the free online game Run Run Ran at run3unlockedgame.com. Stay alive as long as possible by jumping, sliding on your way and collect bonuses while moving. G Switch is a skill game where you will prove your skill through the levels of the game. Run, jump and switch the gravity to pass all 8 checkpoints. 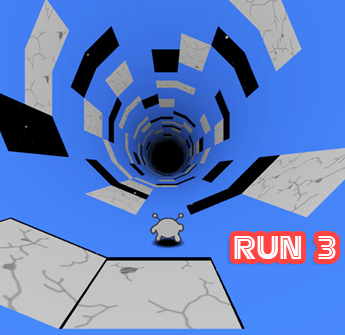 In Bloosso Run, you must help your guy escape from something horrible. Jump over obstacles, slide through trees and collect coins on the way. Play Dungeon Runner - A brave knight must escape a dangerous. Help him avoid obstacles, collect treasure and upgrade your character. Play game Ben 10 Run Run Halloween. Help Ben run as far as possible by collecting all the pumpkins, pick up health packs to survive. Play the free online game Spongebob Swift Run. Mission of the game is to survive by collecting all the stars and avoiding all those obstacles. In SpeedRunner game, join in the battle against the mad bomber and his diabolical machine, avoid spikes and obstacles to rescue the city. Runty Biker Game is a racing game you can play online for free. Drive the bike, collect coins and overcoming all obstacles in this game. Play the world famous Bubble Shooter online game. Your mission is to connect three or more of the same colored bubbles to clear the playing field. Play Angry Birds Space - Use gravity to your advantage to slingshot around alien planets and take out those pigs in a galaxy full of challenging levels! Vex 3 - Run, wall-jump, and glide through dangerous levels! This game features 10 standard stages and 9 'challenge' stages. Can you complete them all? Design your Disney Princess Ring - Use your decoration skills to design the most amazing princess ring. Use material and color you want, choose a spectacular gem. and then you'll decorate a special box for it. Street Fighter is a head-to-head fighting game produced by Capcom. Choose your favorite character and play either the computer or a friend. Governor of Poker 2 is a sequel to the game Governor of Poker from Youda Games. Play poker against realistic opponents, win the games and become a poker star. Play Armor Mayhem game - It is an exciting shooting game where you have to defeat your opponents and conquer their territories in order to win. In Strike Force Kitty: Last Stand, the kitten kingdom is under attack and the goal is to protect your fortress from the foxes! Give orders to attack, steal outfits, collect fishes and upgrade your warriors. Play The Impossible Quiz game - Try to beat the quiz by answering all of the quesions. Some of the answers may not make sense to you, but I'm sure it's very interesting. Play the classic arcade game Donkey Kong and help Mario rescue Pauline from the clutches of Donkey Kong. He has to avoid many obstacles as he tries to climb up the ladders. Play Gun Mayhem - Customize your character and shoot the enemy off the small arena map enough times to progress. Play the free online game Achilles - You'll defeat your enemies and slash them your way through 15 stages of ancient greek warriors. Age of War is a quick-playing game of conquest. Take control of 16 different units and 15 different turrets to defend your base and destroy your enemy. Gold Miner is a classic and casual game that made you addicted when you play. Dig for gold while racing against the clock. Collect gold, emeralds, and rubies.